Deal or no deal? Well, as it turns out, things are about to get even more complicated either way. Supply chains have been changing ever since the UK’s decision to leave the European Union in 2016; whatever happens next in the drama of Brexit negotiations, businesses are reassessing supply chains and desperately trying to minimise risk. UK businesses that depend heavily on EU supply are seeking non-EU alternatives for their products, and vice versa. When supply chains change, companies seek alternatives, and it becomes very difficult and complicated to change them back again. I’m going to jump straight in with the killer question: what will happen to UK/EU trade post-Brexit? If ever or whenever it takes place, the signing of the Withdrawal Agreement is only a small step towards planning the future of the UK after Brexit. The agreement (or deal) leads to a transition period, currently until the end of 2020. But what happens on the 1st of January 2021, or at the end of that period? The Withdrawal Agreement is not a trade deal; it is an agreement on the separation of the UK/EU relationship. During the transition period we expect to continue trading as before (but that’s not guaranteed and I will come back to that). A UK/EU trade deal needs to be negotiated between the remaining 27 EU Members States and the UK. What will the terms be? What should be included? Do we need to consider services as well as goods, due to the UK’s service economy? So there are many open questions affecting every aspect of the negotiations? Absolutely, and this creates a highly uncertain business environment. Even after Brexit day there will still be a lot of uncertainty – the trade deal between the UK and EU will be a process of negotiation, not unlike the Withdrawal Agreement, but with higher complexity. The trade deal will need to be in place by January 1st 2021, which does not leave long for the relevant parties to figure things out – they have maximum 20 months to negotiate. Will we need to make a lot of changes in order to sign a trade deal? Theoretically, because the UK market conditions are very similar to those throughout the EU, this should make signing a trade deal easier. Usually, trade deal discussions begin from very different starting points, but similar market environments should make it easier to make a deal. However, this is only in theory, and unfortunately in practice things are likely to become more complex and take longer than expected. What will be the impact on businesses? Predictably, the larger the company, the more protected they are from the market uncertainties following Brexit. Large businesses will have been planning for Brexit since the referendum, and are likely to have several different strategic options however the situation develops. Whatever happens, market uncertainty will continue up until the end of 2020. For companies active in the EU, redesigning their supply chains is one method of mitigating risk. Any companies that can source from inside the EU, or through other existing EU trade agreements, will have been advised to do so. This limits their exposure to potential price or supply chain instability. And what about smaller companies? Small and medium sized enterprises (SMEs) are already the hardest hit by the market uncertainty surrounding Brexit. SMEs lack the resources, capacity and capital to change their suppliers and supply chains on short notice. UK companies and EU companies are both in a similar situation. But if everything will stay as it is during the transition period, isn’t there still time for SMEs to figure things out? Even after we sign the Withdrawal Agreement, which allows us to keep trading with EU, there are still some significant issues remaining unaddressed. As part of the EU, the UK is included in each and every EU trade agreement with non-EU countries. After the 29th of March 2019 (or whenever the UK leaves), this is no longer the case, and it will be at the discretion of each individual trading partner as to whether or not they continue to trade with the UK under existing trade agreement conditions. The UK Department of International Trade has rolled over existing free trade agreements (for example with Switzerland and Chile). But other trade partners are not so keen to do this. This aspect of the transition period is not covered by the Withdrawal Agreement and exposes SMEs to yet more supply chain risk. So other countries could choose to see the UK as non-EU immediately following Brexit day? Yes. The Withdrawal Agreement is between the EU and UK only – the EU will ask the other countries with whom it holds free trade agreements if they would like to keep trading with UK as per today. It is important to note that the EU cannot force another country into an agreement it hasn’t signed; after Brexit Day the UK will no longer be part of the EU. Continuing trade at current market conditions very much depends on the goodwill of other countries; if they agree, things continue as they are; if they don’t agree, the UK has (another) problem. Japan is a good example here. The EU/Japanese Trade Agreement is a new trade deal between the EU and Japan. Following Brexit, the UK would aim to simply copy/paste it into a new agreement between the UK and Japan, but Japan would have to agree to this, and may not necessarily be inclined to do so. What else do we need to consider when it comes to trade? A major rise in globalisation over the last half century or so has led to products being manufactured in multiple different locations, with components coming from all over the world. To establish a manufacturing location, countries have implemented a minimum level of production that needs to be completed in country. For example, car parts are manufactured all over the world and then shipped to somewhere in the EU for final assembly, but for the car to be officially “made in the EU” a certain percentage of manufacturing must physically take place in the EU (the percentage depends on the applicable trade agreement). If it’s not an EU car, according to the rules of origin, then tariffs can be applied by importers. Although the UK doesn’t manufacture much in relation to other EU countries, one and a half million cars were built in the UK last year. Will they still be considered EU-made after Brexit? And will UK car components be considered as EU components after Brexit? Again, this decision is at the discretion of the trade partner country; the EU can’t force other countries to accept UK components as EU components after Brexit. Do you predict that other countries will want to roll over existing agreements? The easiest scenario for everyone (with the least amount of paperwork) is if all countries agree to roll over existing conditions as part of the Withdrawal Agreement. If they do all agree, this only holds until the end of 2020. But this is no means guaranteed. And again, what happens on January 1st 2021? Each and every individual agreement must be rolled over separately by the UK government, and that is going to be a lot of paperwork and resources. What will happen if the UK leaves the EU without a Withdrawal Agreement or without a trade deal? Very simply, trade deals make it easy for products to cross borders. Without a deal, it will become very difficult for products to cross borders. In the case of the UK leaving the European Union either without signing the Withdrawal Agreement, or without trade deals in place, then there would be chaos at the border. Tariffs would immediately be put in place, adding major cost in the supply chain. Certain UK products imported to the EU could double in price (depending on the applied tariffs), making them far less attractive to buyers and destroyed demand. The same would apply in reverse. We would also immediately see border checks (e.g. increased paperwork) and inspections, which would dramatically increase the time products spend at the border, and therefore increases lead times. This will also have a major impact on the cost of supply chains. If it takes longer for a product to move from A to B, then transportation costs increase (eg driver time), as do the costs of insurance policies. Very small changes can have a major domino effect on supply chains. Who do you predict will have to pick up these costs? Inevitably most additional costs will be passed on to the consumer. Someone has to pay for the increased complexity of supply chains and, particularly in industries with very low profit margins, manufacturers and suppliers will refuse to pay these costs. The consumer will pay and we will start to see changes in product availability in supermarkets very quickly. Which UK-products will be affected most? One example is the Welsh lamb industry. Wales exports 96% of its lamb in to the EU; the lamb is immediately exported and the supply chain is simply not in place to store it and sell it in Wales and the rest of the UK. The price of lamb could easily double for EU consumers following a no-deal Brexit (due to tariffs, for instance). If demand for lamb in the EU decreases, then Welsh farmers need to immediately find another solution to store and sell their lamb nationally instead of exporting it. Is there a silver lining at all? I’m not saying that Brexit will only be damaging for the UK – there will almost certainly be a major opportunity for us to recreate/rebuild farming and the food supply chain for raw food materials. Historically, some SMEs source food produce and raw materials from the EU; regulatory-speaking it made little difference if something was EU or UK sourced. For example, SMEs import flour and other ingredients from the EU to the UK; the supply chains work efficiently and effectively, and businesses like routine. This makes them difficult to change. But if sourcing flour and other food produce will become difficult and more expensive post-Brexit, then there is definitely an opportunity to relocate the source and to create products locally or nationally. Potentially, we will see a higher percentage of food produce sourced in the UK, increasing the UK’s self-sufficiency when it comes to sustenance. This scenario could equally apply to the UK’s manufacturing industry, as we need to produce more products internally. When do you think this might start to happen? Well again there is a downside. These are significant changes and ones that will require a lot of time; changing supply chains requires new networks and links, new producers, new systems and much more. But the most significant requirement is market certainty. In order to commit to making such drastic changes, businesses need to know that they are operating in a stable market environment where there won’t be any additional unexpected surprises. And we don’t have much certainty yet. Indeed. The UK’s future relationship with the EU remains very much undecided and unclear, and this has a huge impact on SMEs. They are simply stuck – most don’t have time, resources, capacity, or funding to rebuild their entire networks before the end of 2020. 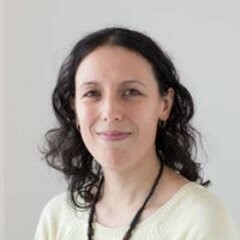 Dr Ludivine Petetin is a Lecturer in Law at the School of Law and Politics at Cardiff University. She has expertise in agri-environmental issues as well as international trade. She is currently writing a book on Brexit and Agriculture (with Dr Mary Dobbs). She engages with governments, legislatures and stakeholders across the UK on the impact of Brexit on agriculture, food, environmental protection and trade. In this feature-length PARC interview, we talk to Dr Ludivine Petetin from Cardiff University about the impact of Brexit on supply chains and trade. If you thought the impact of Brexit was complex enough already, it’s about to even more complicated.